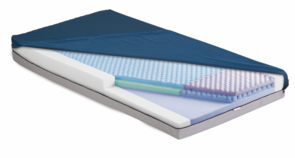 Bariatric mattresses are designed to accommodate larger, heavier patients with extra support. High-weight patients need extra care in preventing and treating bed sores, as the extra pressure and potential body heat poses a more serious risk to the skin. 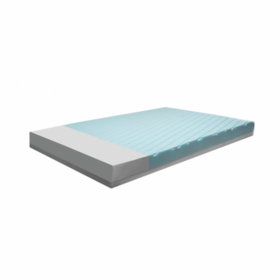 Our bariatric mattresses redistribute heavy weight with high-density, extra-resilient foam. They help control patient micro-climate with aerated foam, to allow for greater skin ventilation. With weight capacities up to 1,000 lbs, our bariatric mattresses are constructed to give real comfort and relief to patients who need it. Each comes with an anti-microbial, low-friction, low-shear nylon top cover for easy cleaning and maintenance.